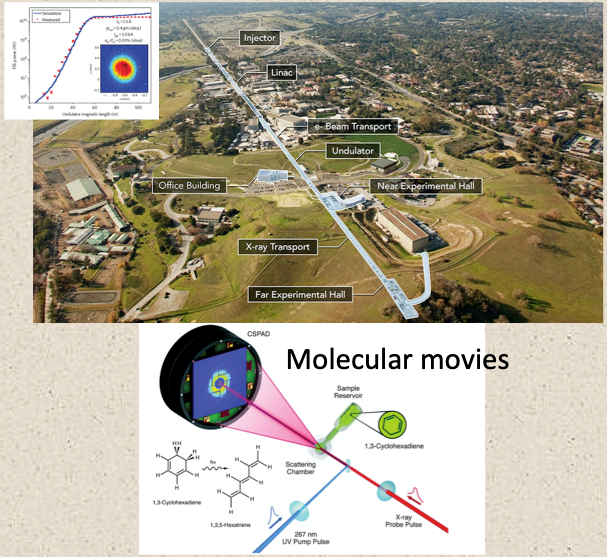 Abstract: LCLS, an X-ray free-electron laser located at the SLAC National Accelerator laboratory, has made possible for the first time the exploration of matter at the Angstrom-femtosecond scales characteristic of atomic and molecular processes. First proposed in 1992, it started to operate ten years ago. During this time it has led to the publication of over 1000 papers in biology, physics, chemistry, high energy density and material sciences, with about 40% published in prominent journals. In this talk I review the physics, development and present status of X-ray free-electron lasers and some of the experiments done using their unique capability.